Fox's new show "Sleepy Hollow" was a certifiable cluster of crazy, but that ended up being what viewers wanted: the premiere had 10 million viewers at 9 p.m.
What is your obsession with MAP? And why are you to chicken to use a name????? I'm quite flattered at all the attention you're giving me though! Makes me blush! Just curious as to why the name change of "while you were working". Did the unemployed raise a fit? Seriously, is THAT the most interesating entertainment news you guys could come up with? Click on Google News and then select "Entertainment" if you have no other ideas for stories guys. This is just getting pathetic. I can't even comment on topic because the topics are so trivial I can't actuially think of anything to say. Miley Cyrus costime ?= s.lut. Katy Perry new single, dark horse. B.O.R.I.N.G. But MAP! 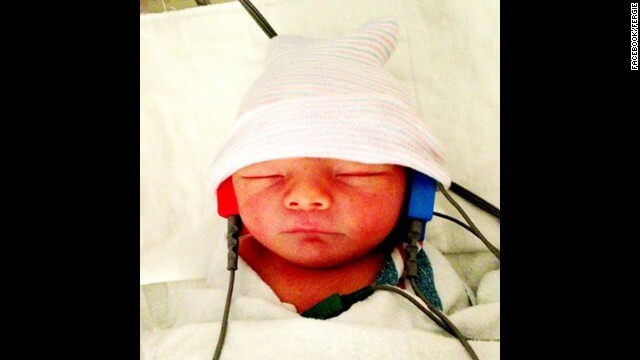 A little Josh Duhamel came into the world! How cute is he? (the baby) Hopefully, he's not listening to his Mom's music. Lol! I don't really think babies are cute. I like baby animals better. It looks like a squished up blob of flesh.. ew! Please don't reproduce, I can see a casey anthony in you. I'm with MAP on this one. I don't think babies are that cute either. More often than not they look like hideous little sea creatures of some sort.